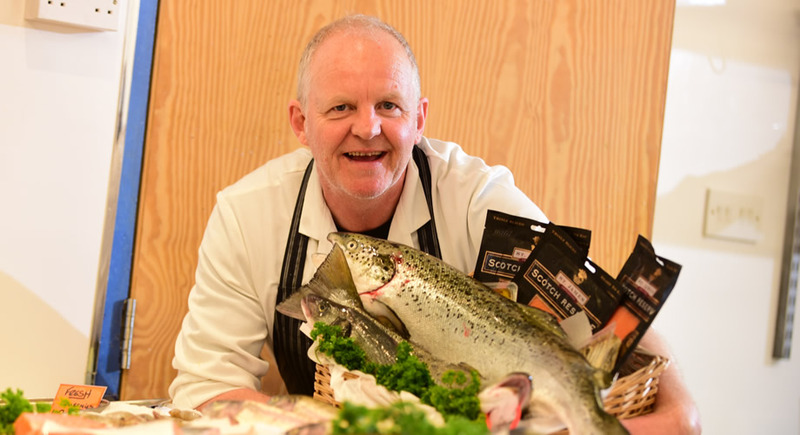 I’m Steve the fishmonger at Chester Market and have traded in the market for 30 years. Starting my working day at 3am and travelling to the dockside allows me to source the best fish of the day. My customer base is diverse, from all ages enjoying fresh fish; I`m happy to offer advice on how to cook the fish and provide ideas for delicious recipes. Taking pride in my business I will source to order and offer a daily ‘catch of the day’! Being the only fishmonger in the city centre is amazing; try my fish I guarantee you will be back for more. Personally I’m a sucker for seafood – pardon the pun.